2014 and 2015 model years - how is yourfuel economy? 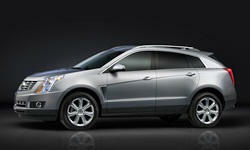 My 2012 SRX averages around 16 miles per gallon. The majority of driving is local 80% local and 20% highway.